Finding the best breast pump is really difficult these days. The worry is that some pumps might not suit you, even when they are perfect for someone else. But as soon as you decide to breastfeed your baby, you will require a breast pump. For the best pumps to go for out there, check out our list of 10 Best Electric Breast Pumps For Working Moms. This is one great option for amazing breast pumps for working moms. It is lightweight and has a built-in rechargeable battery that will last up to 180 minutes. There is a digital screen with backlighting and it can be used with its hands–free attachment. Its pump suction is robust and it comes with several accessories that include a tote and cooler. This is a very useful perfect pump for your pumping journey. This is a pump with lots of users. It is very convenient to use. It is not as small as the other options on this list but it is still very portable. It comes with a bag as well that makes taking it around very comfortable. It has a hospital grade strength and a built-in rechargeable battery and a digital screen with backlighting. It is lightweight and its price is quite affordable. A very decent pump. 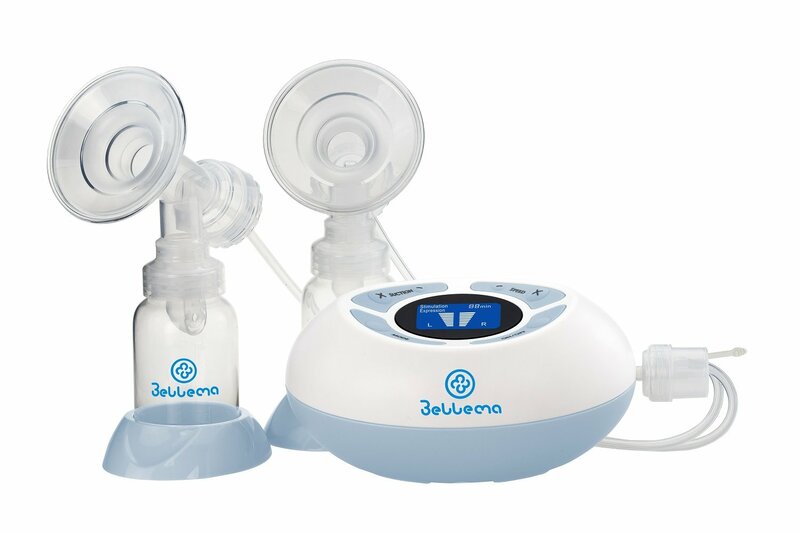 It has the responsive pump technology that detects and responds to your body nurses automatically and the responsive pump technology that responds to your body so it can work on a persistent pressure. It is lightweight as well, plus very quiet. It has a built-in rechargeable battery that can go about 3-4 pumping sessions before it has to be plugged in again. Midnight pumping is bliss with this option. It is a Bluetooth enabled smart pump that can be connected to the MyMedela App to monitor pumping sessions. There is a natural rhythmic waveform that makes things really convenient for you, which signifies more milk. It is portable and it comes with lots of breast shield sizes. It is lightweight and little in size. There are several accessories you get to enjoy as well like a tote bag and cooler with this option. Can be moved around easily, it is lightweight and simple to use. It has a WHO Code Compliant, it is quiet, and it’s suction strength and frequency settings are easily adjustable separately and collectively. Optiflow inserts even aid the apt message of the breast just the way you want it. It can be operated with its AA battery feature. Your Ardo Calypso can also step in when you have problems with the batteries or have zero access to power. This pump is portable, smooth to carry and not too heavy. There is a Letdown Mode which, via a button, will stimulate your milk to flow the exact it should. The fast and lighter section mimics a baby that is starving to aid your milk to flow the right way. Its cycle speed & suction strength can be controlled. It has a built-in rechargeable battery. It is also quite affordable. This is a beautiful pump. This pump can actually record your pump session and play it back in memory mode to make manually switching to expression mode unnecessarily. It is lightweight and has 10 various massage and expression levels for apt customization. There is a Backlit LCD screen too. Automatic shutdown is also present to preserve your battery. Expect a built-in rechargeable battery as well. Its display even comes with a timer so you can know your limits. WHO Compliant, Green Company with zero pumps in dumps campaign. The independent speed and suction controls let you mimic your baby’s unique sucking pattern. There are also pre-recorded and recordable buttons to record the baby and help with letdown. Personal accessory set is also included as well. It is lightweight. The Hygeia Enjoy is a beautiful option for mothers that fancy green-minded companies and like to seize the opportunity that comes with their recycling program. This pump has a longer power cord, which makes it simple to locate a comfortable place to pump from. It has left and right independent controls where you can select different suction speeds for each breast. It weighs just 14 ounces which makes it portable to go with you into your workplaces. Even if it is quite audible, it is still a quiet pump. This is a reliable pump. Your money will not go to waste with this one. You get a closed, hospital grade system with a stimulation phase, a button with adjustable suction levels plus a kit with all required accessories. It has special back-flow caps that block the milk from flowing back into the tubes. Carrying it is also very easy with the bag it comes with. There you have it – a comprhensive list of best electric breast pumps for working moms. If you have other recommendations, feel free to let us know in the comment section below.